Collaborative duo Guest, Riggs will invert this private spectacle and take us with them, by turning MPavilion 2017 into a public performance of the banalities of new parenthood, where Rem Koolhaas and David Gianotten’s amphitheatre-style structure will raise nappy-changing to new cultural heights. Guest, Riggs take Rem Koolhaas’s and David Gianotten’s statement that the space could function as a playground literally: the floor will be given over to babies’ exploits, made possible with a series of baby-friendly interventions within the pavilion. 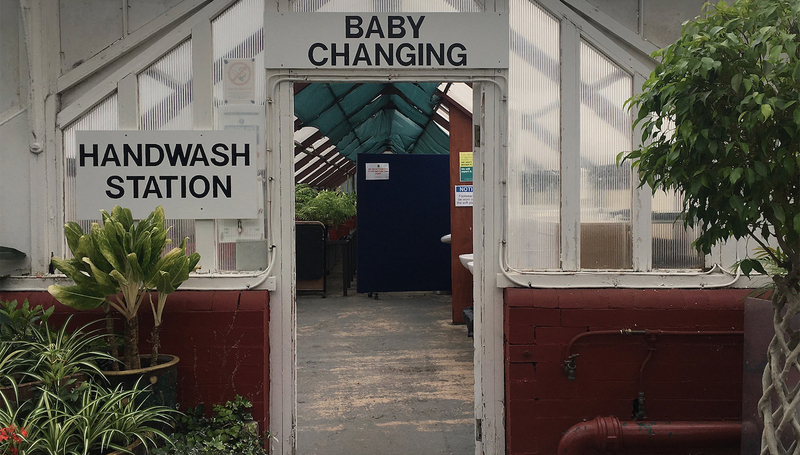 In November, the second instalment in this series, ‘Street’, focuses on the streetscape of parenthood—from pavement pram politics and breastfeeding on the curb to median-strip nappy-changing and problematic public toilets. Max Olijnyk will read a story about taking his baby for a walk and speak about what makes a street parent-friendly; Andy Fergus will provoke discussion around housing families in cities; Marika Neustupny will explain NMBW’s Family Apartment project and the concept of multi-generational living; Shelley Freeman and daughter Stella Veal will talk apartment living with a growing family; and new mother and Melbourne Architours guide, Esther Deutscher, will lead a tour from street to river—with pram in tow—through some of Melbourne’s key public spaces. This event is proudly supported by Baby Rest.